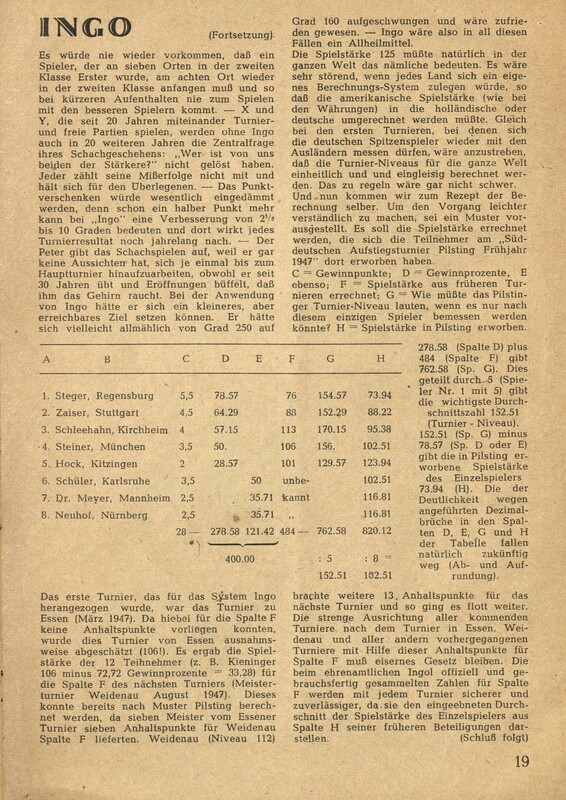 Page 195 of Arpad E. Elo’s The Rating of Chessplayers, Past and Present (London, 1978) lists Edward S. Tinsley 1869-1937 and gives him a best five-year average rating of 2400. We cannot believe this and feel there must be a mix-up by Elo over the father and son. 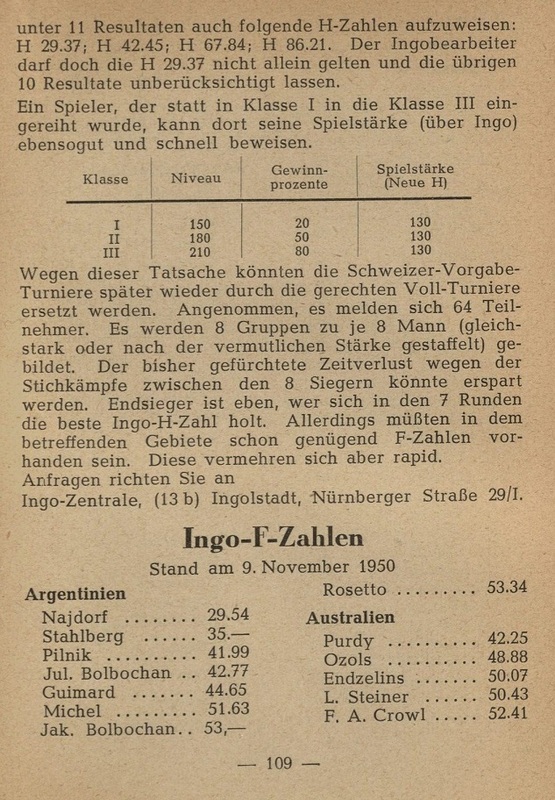 The same book (page 91) also mentions a 14-game Capablanca-Kostić match (1915). 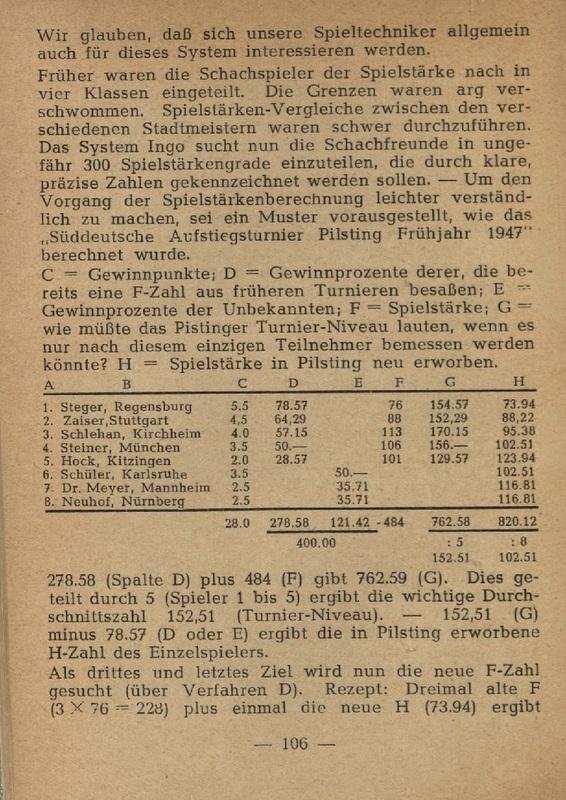 No such match was ever played, and it would seem that Elo was misled by the false information in Dr P. Feenstra Kuiper’s Hundert Jahre Schachzweikämpfe (pages 76 and 84). 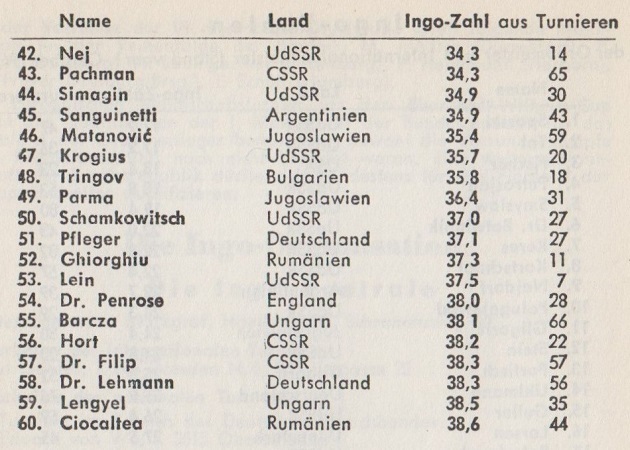 If Elo’s historical data are largely based on Feenstra Kuiper many of his oft-quoted retrogradings will be way out. Discussion topic: is there any good reason why master titles for playing ability should be awarded for life? We believe that, by analogy with the ‘world champion’ appellation, they should be lost if results over a fixed period (perhaps five years) are sub-standard or non-existent. This would reduce the cheapening of FIDE titles, although nothing would prevent a player from referring to himself as, for instance, a ‘former Grandmaster’. We should still welcome clarification of the points regarding retrograding made in C.N. 1302. Three other questions. Can anyone explain exactly how Fischer’s extremely high Elo rating was calculated? 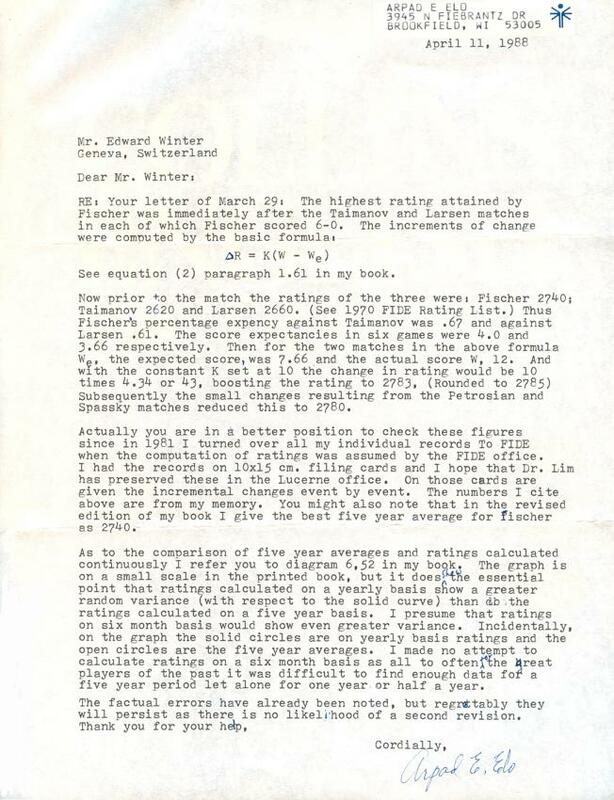 To what extent can six-monthly ratings be justly compared to best five-year periods? Has anyone attempted to calculate the ratings of the great players of the past on a six-monthly basis? 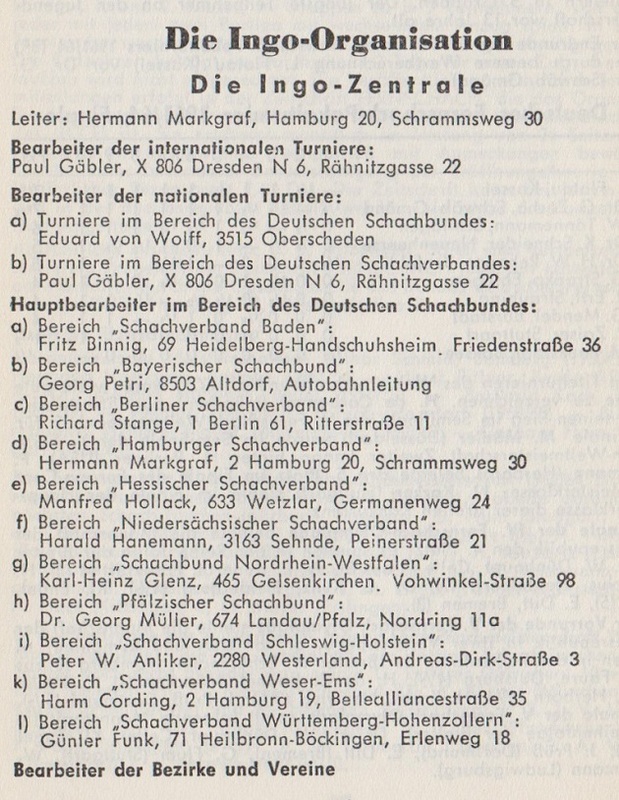 We would point out another dubious case: in 1985 FIDE awarded Golombek an emeritus GM title. 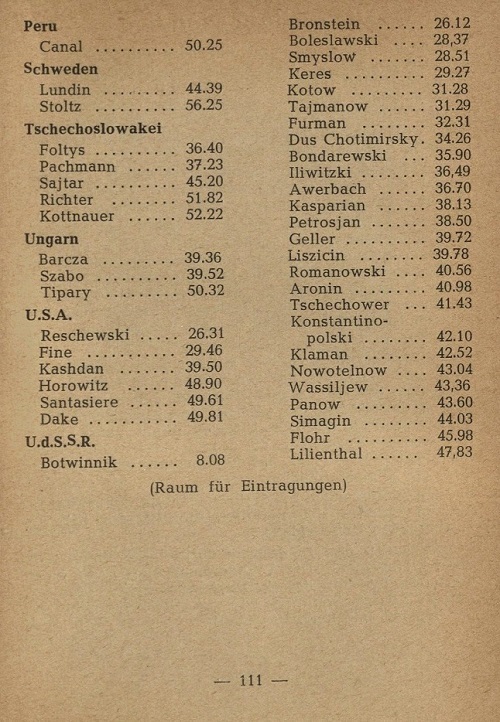 According to Elo’s book, H.G.’s best five-year rating was 2450, the same figure as that of Eugene Znosko-Borovsky, whom Golombek (on page 522 of the paperback edition of his Encyclopedia) described as ‘a minor chess-master’. 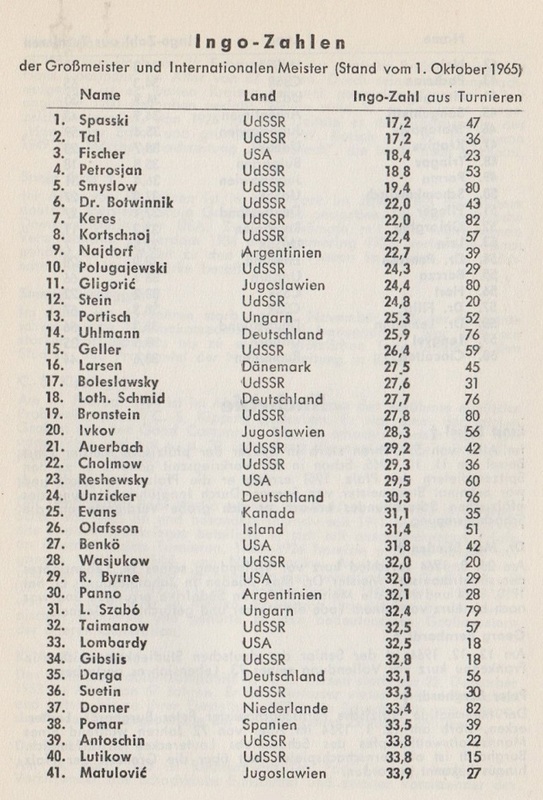 It is also worth noting that on page 61 of the January 1988 FIDE Rating List (an example we take at random) Anatoly Dozorets is mentioned as the 20th strongest player in the United States, with a rating of 2495, yet without even the International Master, let alone the Grandmaster, title. The point is that once a governing body decides to use a statistical system it must endeavour to follow it through fairly and logically. Sentimental end-of-career gestures have no place. On the other hand, Elo’s retrospective rankings look less and less convincing the more one studies them. For example, George Walker is attributed 2360, the same as George Botterill in January 1988 (who has thus had the benefit of insight into a century and a half of chess development since Walker’s time). 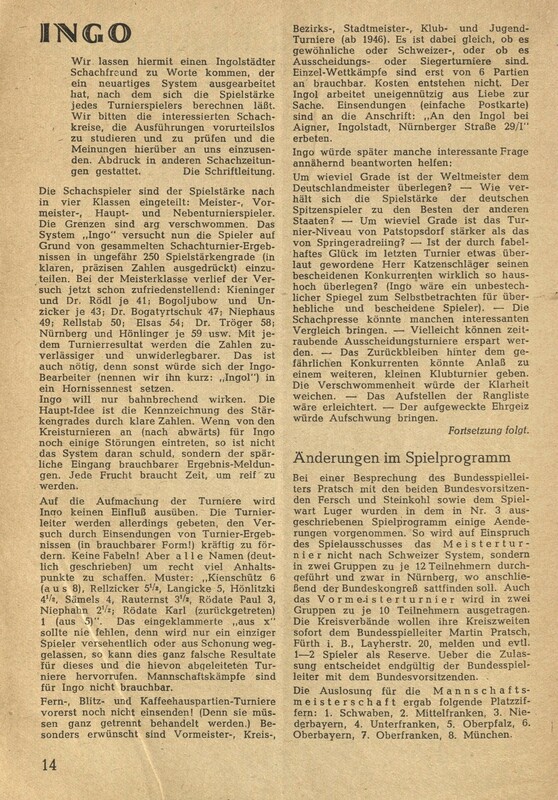 ‘The final paragraph of C.N. 1638 shows a misunderstanding of ELO. The ratings do not reflect how a player from a past age would fare against a present-day player. In his day George Walker might well have been of the same standing as Botterill is today. If Morphy were alive today and played exactly as he did in 1858 then he would be well down the list. Of course, with his great ability he would quickly absorb most of contemporary theory and begin to climb. His historical rating shows his place in his time. Elo’s figures measure competitive ability, not the quality of play. To misquote Grantland Rice, “It matters not how well you play the game, but whether you win or lose”. It is easier to visualize if we consider how Elo might have been applied to athletic events, where there are absolute measures of performance. An Olympic gold medallist might be, say, 2600, whether winning the medal now, or 50 years ago. But the performance 50 years ago would probably not even be a qualifying result for today’s event. It does not follow that athletes of half a century ago would not be able to sustain their hypothetical “Elo” if they were miraculously to reappear without having aged at all, but they would have to make better times, etc. to do it. In chess we can only know the standing of players within the pool of which they are a part. It is idle speculation to make comparisons between discrete periods. Just as thousands of marathon runners beat the time which won the first Olympic medal, so thousands of chessplayers could, with the knowledge and skill they have, repeat Morphy’s performance if they were transported back in time. But if these same players had been contemporaries of Morphy then they would likely have been outclassed by him, just like everybody else. Short proposes that Grandmasters whose Elo rating drops below 2450 on two consecutive Rating Lists should revert to being International Masters, and that Grandmasters who play fewer than ten rated games in two years should also lose their titles. Such ‘former Grandmasters’ (our term) could recover their titles by making a single Grandmaster Norm, providing that they also secured the 2450 minimum rating. Since Short’s open letter was addressed to the Grandmasters’ Association, it was not the place to discuss parallel cases where ‘International Master’ is a misnomer. Page 3 of Inside Chess, 10 November 1988 has a playfully sarcastic reply from Andy Soltis which does not lend itself to shortening here. Perhaps a reader can phrase the counter-arguments for Chess Notes more maturely. 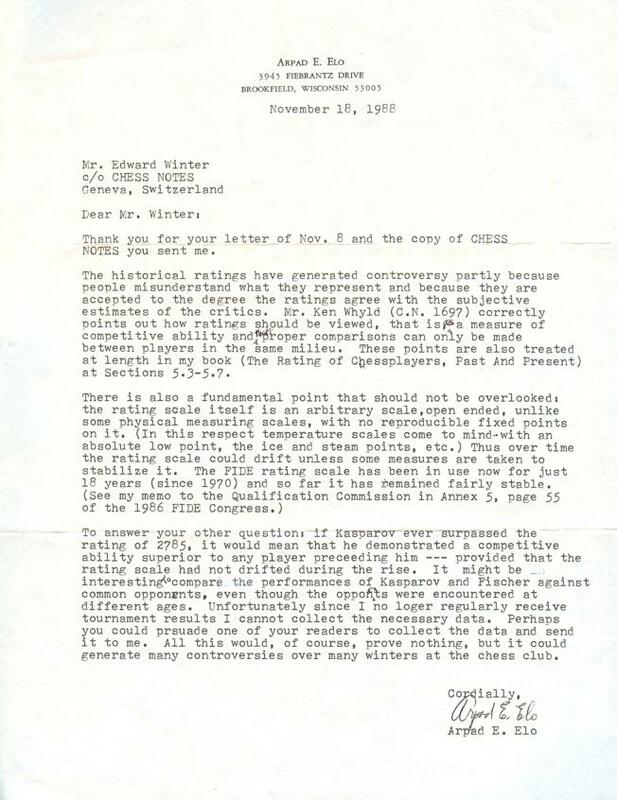 Professor A. Elo comments on C.N. 1697 and also answers a question from us as to whether Kasparov, if he surpassed 2785, would have proven himself ‘the strongest player of all time’. 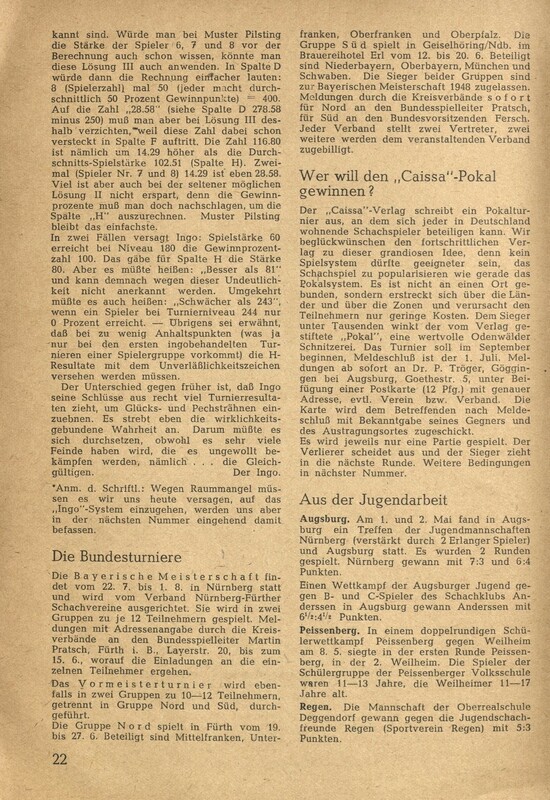 Although it has been established that different periods cannot be directly compared, is Fischer’s career sufficiently recent to allow comparisons with Kasparov? 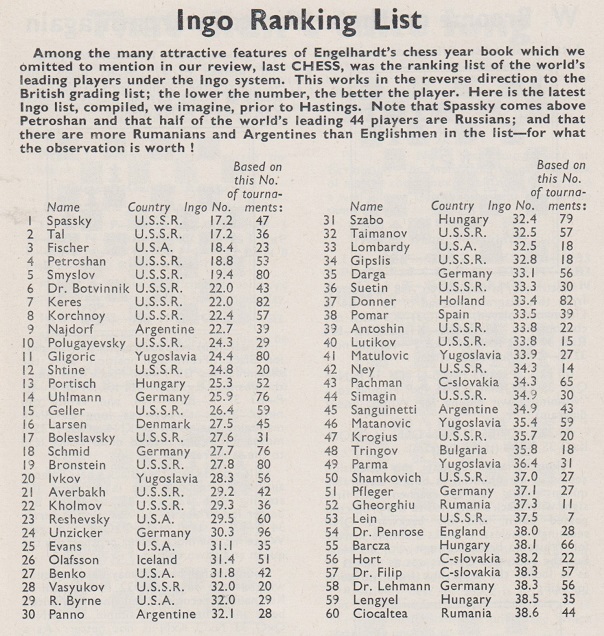 It should be noted that the twice-yearly International Rating List has a column for the number of games played by each master. Nigel Davies makes an interesting contribution to the debate on page 19 of the March 1989 CHESS. He considers Short’s proposal ‘rather brutal’ and comments that ‘anyone losing the title by a rule which they considered to be unfair might have very few qualms about “buying” the redeeming norm’. 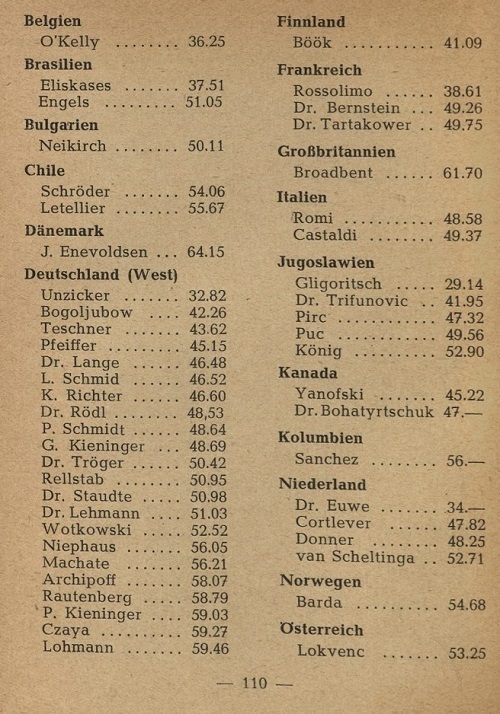 Moreover, ‘players such as Botvinnik and Bronstein would lose their titles’. 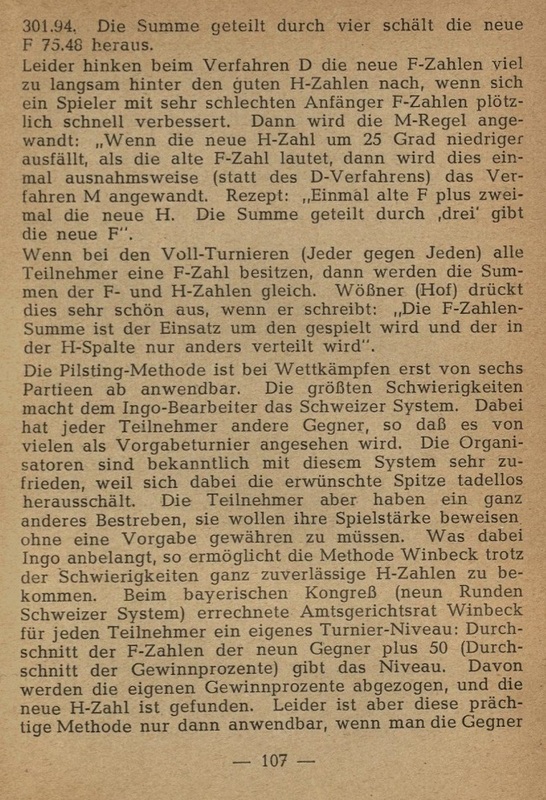 Davies proposes instead that ‘only grandmasters rated 2500 or more should be counted as such in norm calculations’, after which ‘lower-rated GMs could no longer be used in the “norm factories”’. 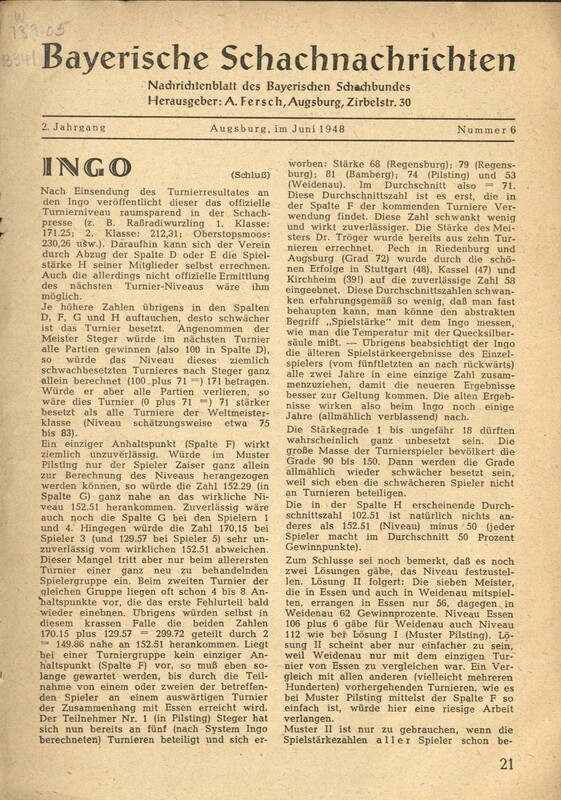 In addition, ‘international masters should only be counted for IM norm creation when they have a rating of 2400 or more’. ‘With regard to C.N. s 1638 and 1697, I should 1ike to make the following comment: K. Whyld says that retrogradings are reasonably accurate “as long as the missing data are in line with the rest”. A careful inspection of the games of G. Walker given in the Oxford Encyclopedia of Chess Games and Walker’s own Chess Studies (the two sources available to me) shows clearly that his matches against such players as Slous, Perigal and Popert must almost certainly be not only incomplete (as recorded by these two sources) but also more or less strongly weighted in favour of G. Walker. I hasten to add that this weighting was surely not intentional on Walker’s part – we know him to have been a gentleman – but must have had its unintentional origin in the fact that he (or some other editor) in his search for suitable examples of games to present to readers of his books, magazines and columns subconsciously left out those games in which he himself had made a less strong and hence perhaps less instructive showing. 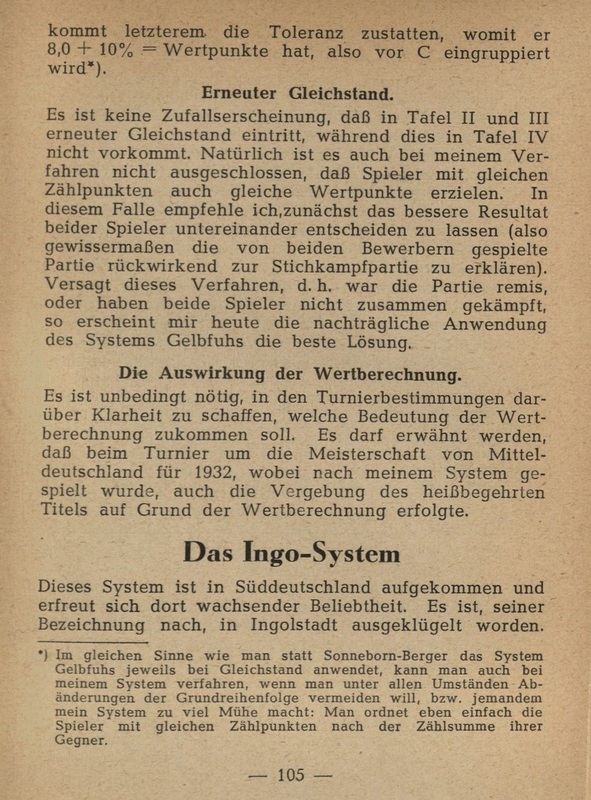 Thus, in using the old games material, the analyst must, for each match played, be on his guard for, among other things, a possible bias-producing incompleteness. 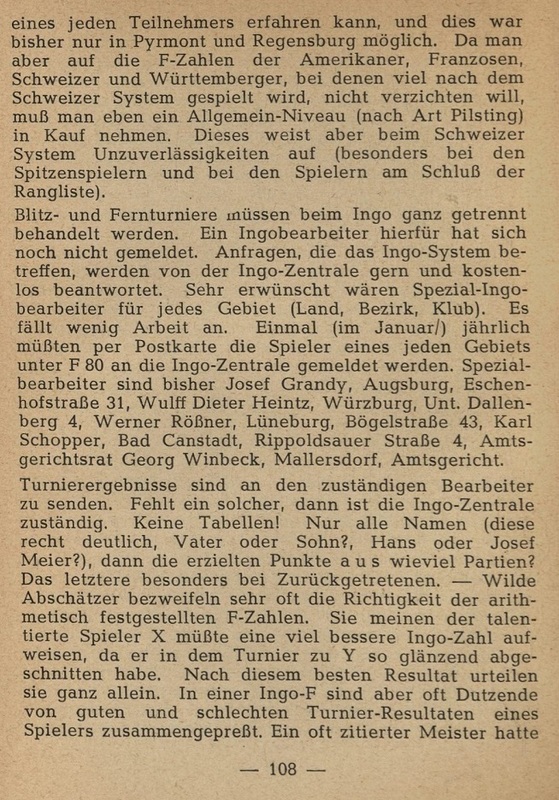 On the contrary, it is possible for a careful and unbiased analyst to make absolute comparisons of the chessplaying ability of players across the ages, albeit of a lesser accuracy than those obtainable from material in the modern period of frequent chess events, careful and complete recording and orderly arrangement of the events. 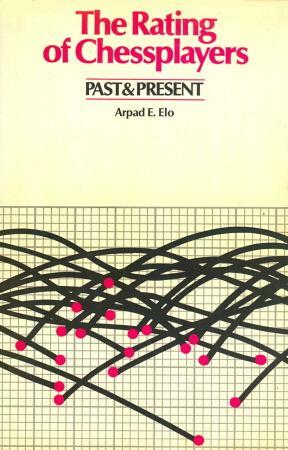 The calculation of relative Elo ratings of a group of players within a pool of an extent of half a year (or, for older times, one, two, three or four years) is made by the method given by Arpad E. Elo and outlined in his book, supplemented (in the case of older material) by the suggestions that I have been developing. (I have also, in a letter to Professor Elo, given a calculation short-cut which reduces the number of iterations in the iterative calculation of a pool.) All this is straightforward, and the only thing required before the calculator reaches the final values is an adjustment of the whole group of players from the time interval (the pool) up or down by a definite amount (number of Elo points). 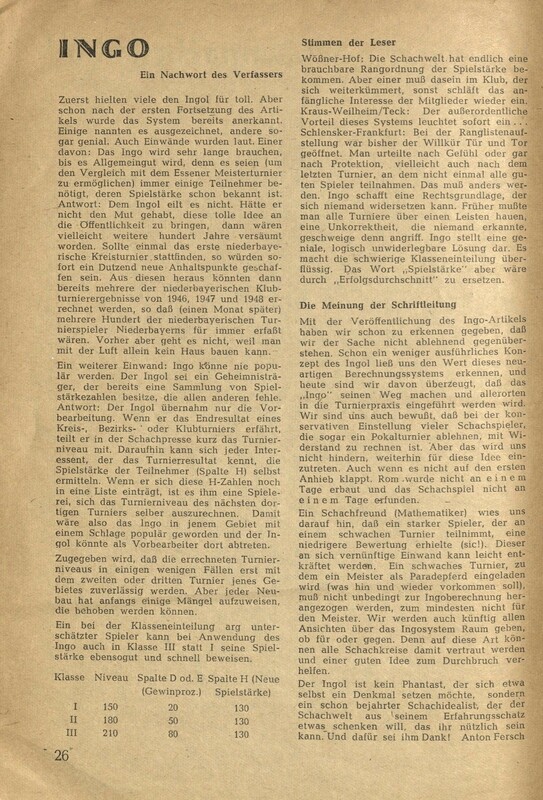 Mention may also be made of ‘Problems of Rating and BCF/INGO Grading’ by Professor H. Schreiner on pages 110-111 of the BCM, March 1991. Latest update: 6 September 2018.